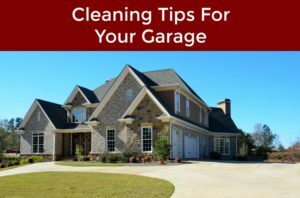 When you need prompt garage door services in Cottage Grove, MN, you want a reliable and highly recommended company that you can trust with your home. As the leader of customer service and quality repairs, call us today with all of your overhead garage door needs, including repairs, maintenance, and installation. We make servicing your system needs easy with our convenient appointments and flexible scheduling. Customer satisfaction is our top priority, and we make repairing and maintaining your system simple and worry-free. We service all makes and models of garage doors, and are ready to meet all of your overhead garage door needs. Using only industry leading equipment and state-of-the-art hardware, our repair services are designed to last through any season and climate. Lifetime Warranties are available in many cases. Our friendly and certified technicians will arrive promptly for your appointments and quickly diagnose the problem. Plus, we offer customers $75 off any repair with the purchase of parts to keep services affordable. When you are in the market for new doors, trust our reputation for excellent quality and have confidence in our outstanding value, too. Shopping from our large catalog, you will find a wide variety of options available to meet your budget needs and to make your design dreams a reality. Choose from options that are pre-designed, or enjoy creating your own door with our custom door options. Either way, you’ll receive $100 off single garage doors, $200 off double doors, and $125 off new openers. Regular service and maintenance of your door system will help keep costly repairs at bay and make sure your system meets safety requirements. The Lube-n- Tune special, only $29, is an affordable way to keep your family safe and secure. Located in the town of Cottage Grove, MN, which is about ten miles south of Minneapolis-Saint Paul in Washington County, our business has been locally owned and operated for over 20 years. Our experienced technicians will quickly respond to calls around town and the surrounding Saint Paul area, and are usually able to reach customers within one hour. Driving around town from Historic First Congregational Church to Hope Glen Farm to Historic Cedarhurst Mansion, you will find customers thrilled with both the quality and value of our services. Our friendly and knowledgeable phone representatives are standing by to assist you with your garage door needs in the Cotton Grove, MN area. With our courteous staff and solid reputation, you will be thankful you trusted the safety of your home to our company! Our team serves our customers in the Cottage Grove, Minnesota for all of their garage door needs. As a suburb of the Minneapolis-St. Paul area, we serve a wide region of customers and locations. Our team is grateful to be a well-established company within Cottage Grove, also known as the “Original Grove.” We’d be pleased to help you with anything you need when it comes to garage doors. Our team is proud to serve this city and Hennepin County. You can find us traveling to customers via Interstate US Highways 10 and 61 regularly. We happily serve the residents in and around Cottage Grove and Minneapolis. Our team travels to get to your location within an hour and guarantees the best service for you. In fact, we promise to be at your location within an hour of your call. Cottage Grove is a great place to both live and visit. While we work hard to accommodate your garage door needs, feel free to enjoy this great area outside of Minneapolis. Consider checking out the following: Mississippi Dunes and The Healing Place of Cottage Grove for a few points of interest.